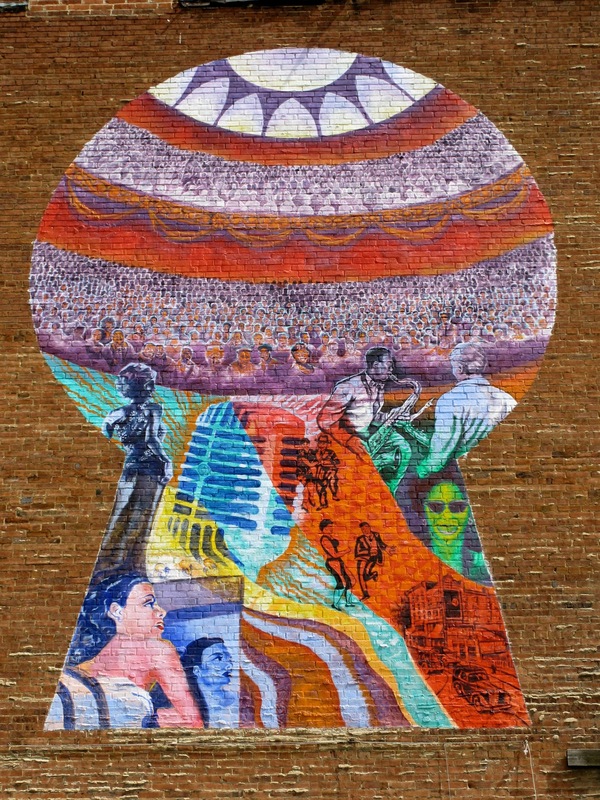 Chris Savido designed this mural to show what you might have seen when you peaked through the keyhole into the New Granada Theater. The New Granada Theater was once a thriving center of Jazz in this country. Everybody who was anybody in Jazz performed here. All the greats like Louis Armstrong, Duke Ellington, Lena Horne and countless others frequented this theater and it's Savoy Ballroom. With Ashley Hodder's help, Chris created the crowd watching the show using many local celebraties in the front row. They include August Wilson, a local baseball player from the Homestead Greys, and other local figures past and present. The New Granada Theater has seen better days. It was once the most important building on Centre Ave and it was designed by the first known African-American architect in Pittsburgh – Louis Arnet Stuart Bellinger. If you go to see this mural it's just east of the theater. 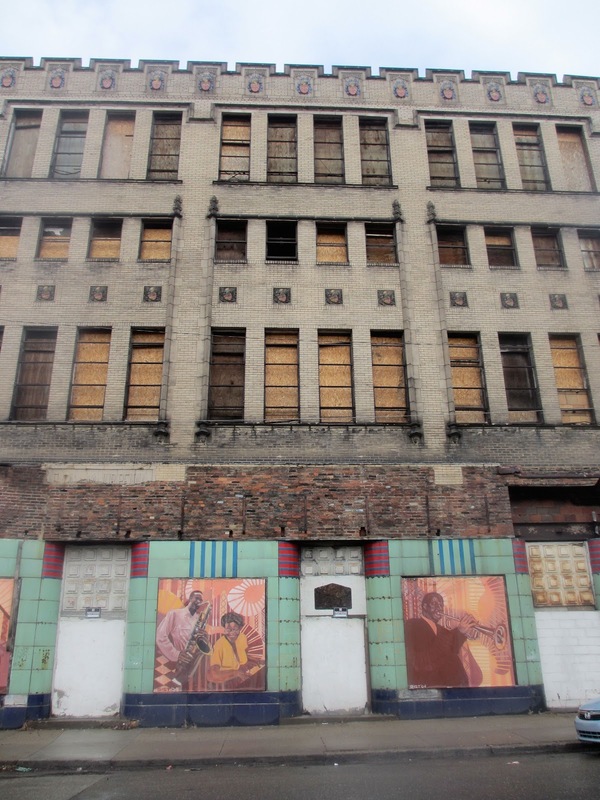 There are plans underway to restore this building and once again make it a center of activity in the Hill District neighborhood. The mural of Jazz Greats is a great reminder of what it once was and might be again.